Available in PDF and ePub. PDF file lacks structures so reading order by screen readers may not be correct. (June 2014). 'Literature, the Humanities, and Humanity attempts to make the study of literature more than simply another school subject that students have to take. 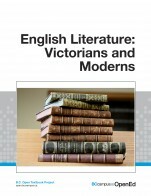 At a time when all subjects seem to be valued only for their testability, this book tries to show the value of reading and studying literature, even earlier literature. It shows students, some of whom will themselves become teachers, that literature actually has something to say to them. Furthermore, it shows that literature is meant to be enjoyed, that, as the Roman poet Horace (and his Renaissance disciple Sir Philip Sidney) said, the functions of literature are to teach and to delight. You just viewed Literature, the Humanities, and.... Please take a moment to rate this material. If you know the author of Literature, the Humanities, and Humanity, please help us out by filling out the form below and clicking Send.